Pre-Release Rate Expires Soon. Register now and save! TATRA Corporate and Allied Health Training Services has developed a workshop which will foster an understanding of the specific challenges associated with caring for individuals with personality disorders. This is an interactive and fun workshop. Case studies, quizzes, group tasks and movie illustrations will be used to make this not only a valuable learning experience but also an enjoyable one. 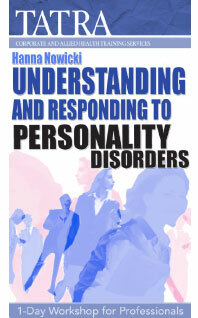 The content will include a definition of personality disorders and their types, how they develop, the underlying causes behind each and, most importantly, strategies for managing them. New data from the Australian Bureau of Statistics shows that the national suicide rate increased in the last 12 months. There are calls for a national target to reduce Australia’s suicide rate. With suicidal behaviours presenting a major clinical dilemma to health and allied health workers, it is imperative that professionals who have contact with people at risk of suicide know how to respond to such behaviours competently and sensitively. Mastering the skill of Suicide Risk Assessment (SRA) is one of the ways of preventing suicide and allowing intervention at an early stage, before the continuum between the first suicidal thought and the decision to complete suicide has been finalised. 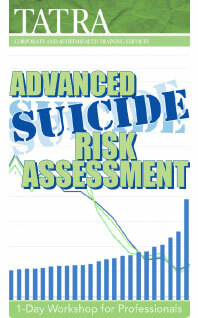 Suicide is difficult to predict but it is preventable. Pre-Release Rate Available. Register now and save! In this one-day workshop, you will delve more deeply into some of the DBT skills, broadening your understanding of and ability to teach some of the most important skills to help clients manage emotions. Experiential exercises and video clips demonstrating real-life work with clients will help clinicians to increase their confidence in bringing DBT skills and strategies into their practice. You will learn how you can assist your clients to integrate their current coping skills with new and effective DBT skills and techniques for living well with mood and anxiety disorders, eating disorders, and addictions, as well as with other problems such as managing anger, chronic shame, low self-esteem and grief. 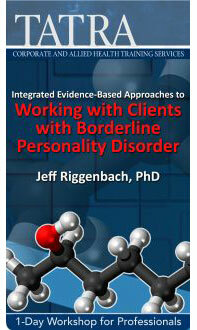 Attend this workshop and join a leading expert in the field of BPD, Dr Jeff Riggenbach as he presents a multimodal approach to managing and treating this client population. 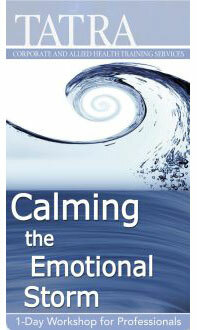 Leave this enjoyable and information packed seminar with a new ability to help struggling individuals deal with issues related to self-harm, multiple suicide attempts, frequently hurt feelings, intense and unpredictable mood swings, shame, trauma, toxic relationships and other problems that impair their ability to function in society. You will leave this workshop equipped with techniques to assist these clients you no longer need to experience as difficult, frustrating, and exhausting. 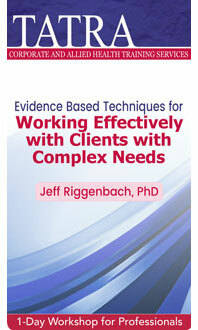 Clients with complex needs are often labelled as “challenging” or as “having challenging behaviour.” They may challenge your way of working but there are many strategies you can use in order to enhance your practice and achieve best client outcomes. Best practice in working with people with complex needs involves continually reflecting on your practice and considering new ways to provide support while incorporating principles of best practice, flexibility and engagement. 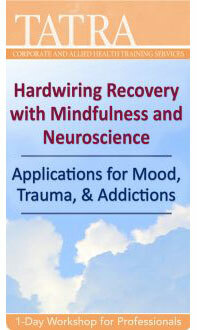 The pathways to recovery and better functioning are all different for different clients, and it can’t be assumed that providing care in the same way to all people will be effective and will result in positive client outcomes unless we, as practitioners, continuously work on extending and adapting our toolbox of strategies and techniques that enhance our clinical ability to engage and assist clients. Attend this experiential seminar and take home some of the latest evidence-informed, easy-to-implement, brain-based interventions that you can start using with clients tomorrow! Becoming a neuro-psychotherapist does not require a comprehensive understanding of the entire brain, which is daunting, time-consuming, and ultimately unrealistic. Rather, to become brain-based clinicians, therapists need to understand the central key areas of the brain involved in mental health and mental illness, how they function, and how therapy can change them in positive ways. This seminar gets to the heart of what is most important for clinicians to know about the brain without the academic jargon or dry lectures, with an emphasis on how to use what we know about the brain to help clients heal. Mechanisms, or “active ingredients” of various techniques are discussed with regard to brain areas impacted, allowing clinicians to better understand not only what works, but why it works. Were you taught to use medication, CBT, Exposure and other traditional therapy approaches to treat trauma? 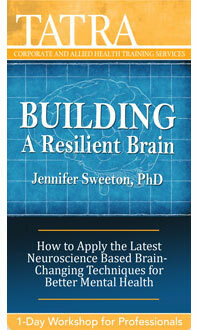 Did you know that these approaches are limited when it comes to healing trauma at the deeper, emotional level of the brain? Come to this workshop and join Courtney Armstrong who will provide you with step-by-step instructions and techniques you can use in each phase of trauma treatment. This trauma training will specifically focus on skills and techniques that will assist in creating the phenomena of memory reconsolidation. 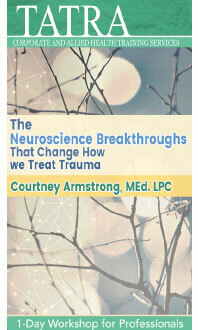 Courtney Armstrong will show you why memory reconsolidation is necessary for effectively and permanently healing trauma. 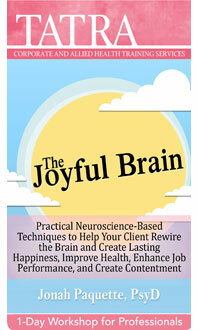 She will give you a simple protocol to use to reconsolidate a traumatic memory in as little as one session! This workshop will provide you with the backed up by research, science-based exercises that will equip you with strategies you will be able to immediately introduce to your clients the very next day. You will learn a range of techniques that will allow your clients to change their daily habits, lift their moods and fight anxiety or depression, regulate emotions and improve general health and well being. Teach your clients how to choose happiness by adding simple habits into their daily routines - putting them in a long-lasting and fulfilling state of mind. You will leave this workshop refreshed and feeling confident knowing that you can now promote new and healthy habits, lifestyles and attitudes that, if implemented, will change your clients lives for good! Copyright © 2018 TATRA Training Services, All rights reserved.